Metearmor is a special Glass-PET Compound Material developed by Moxbii. It solves the problems of tempered glass screen protectors being breakable, and anti-shock screen protectors not scratchable. It is a screen protector that has it all. How and Where is Metearmor been Made? Unlike most products that are either manufactured or assembled in China, Metearmor is actually made in our laboratory, here in Taiwan. We acquired necessary raw materials from Japan, and did experiment to finding the right mix. After that, we sent the raw materials together with the formula to a quality film manufacturing factory in Taiwan. The produced Glass-PET compound material was then sent back to us in the form of large sheets. Finally, we cut it with our own laser cutting technology. This way we can control the quality to its best. American Football is one of the most violent sports, and to prevent players from head injuries, the football helmet is designed with a hard layer on the outside to withstand strong impacts, and a soft layer on the inside to protect the head. 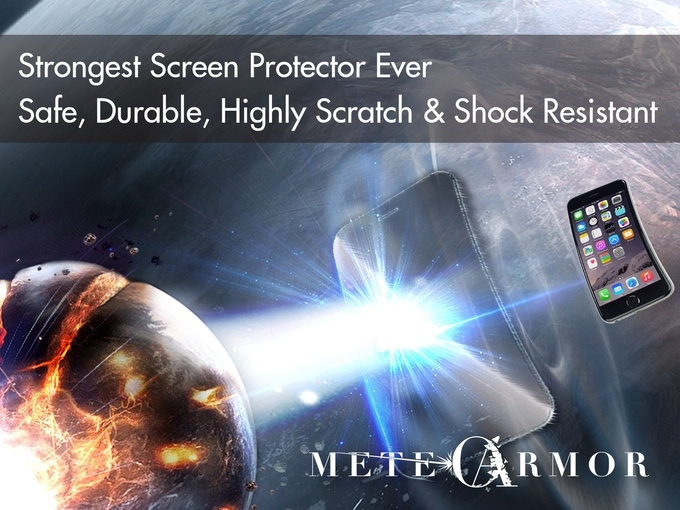 Metearmor is designed based on the same concept, with an outer glass-like hard layer and an inner PET plus silicon soft layer, giving your screen protector the strongest protection possible. Metearmor comes with high-resolution and high transparency of 93% in order to preserve the vividness of your smartphone’s screen. Metearmor features high-precision laser cutting technology. The laser cutting technology ensures precision and quality resulting in giving you accurate positioning and upgrade in quality. It solves the problem of uneven edges and indentations which usually arises because of traditional die-cutting techniques. Water is no more than enemy for any smartphone. While touching screen sometimes it happens it leaves the oil marks or sweat marks while picking up the call or playing some games on it. But with Metearmor, it will never happen more. Metearmor comes with oil repellent and oleophobic coating which makes it so easy and simple to clean the screen. Now you will get the screen clean and clear with fewer fingerprints. Tempered glass protectors are good for keeping your smartphone away from scratches but usually break due to smithereens. 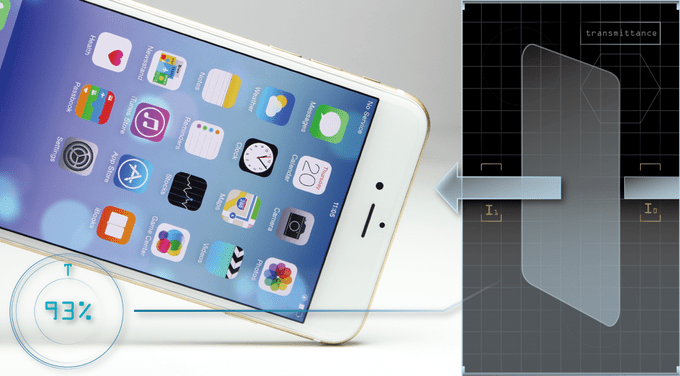 If ever your phone would be dropped, it would result it breaking of tempered glass. Metearmor provides the strongest protection that has the scratch resistance of 9H pencil hardness which makes it three times harder than normal plastic firm. It will not break down as the tempered glass protector does.